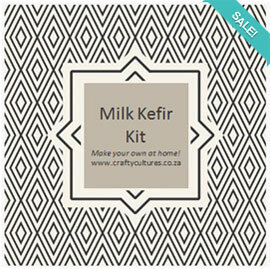 Having both milk kefir and gelatin in the same recipe is super beneficial for your health. It turns a dessert that is bad for you into one that is beneficial. 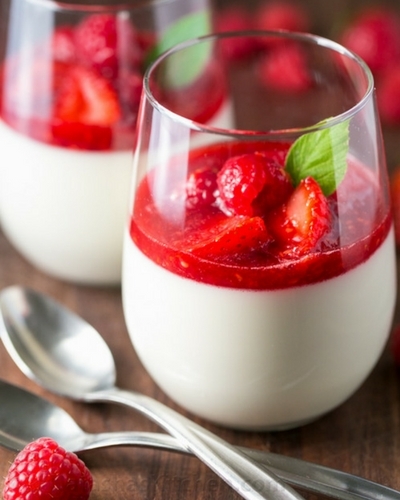 This recipe makes 4 individual panna cotta servings. Place the kefir in a sauce pan and whisk in the vanilla and honey. Put the heat on low and gently warm the kefir up. NB!! Do not overheat! We just want it to get warm. Any hotter and we risk killing the beneficial bacteria. Keep whisking the honey and vanilla until well incorporated. Put the gelatin powder in a bowl and pour the hot water over it. Stir it until it is dissolved. While mixing the kefir with a whisk, slowly pour the gelatin mixture into the warm kefir and combine. Whisk the mixture together until it is smooth and creamy. Pour into small glasses and chill in the fridge allowing the panna cotta to set for a few hours or over night. In a small sauce pan, combine half the chopped strawberries or frozen mixed berries, 1/2 tbsp lemon juice and 3 tbsp sugar. Bring to a low boil and cook 4-5 min or until syrupy. Stir in remaining 1 cup of fresh/frozen berries and remove from the heat and allow to cool. When the coulis has cooled sufficiently, spoon it over the top of chilled panna cottas and return to the fridge to set.